Childish Gambino's "This is America"
NEW YORK -- Childish Gambino's "This is America" video tackles racism and gun violence, complete with blood splatter. 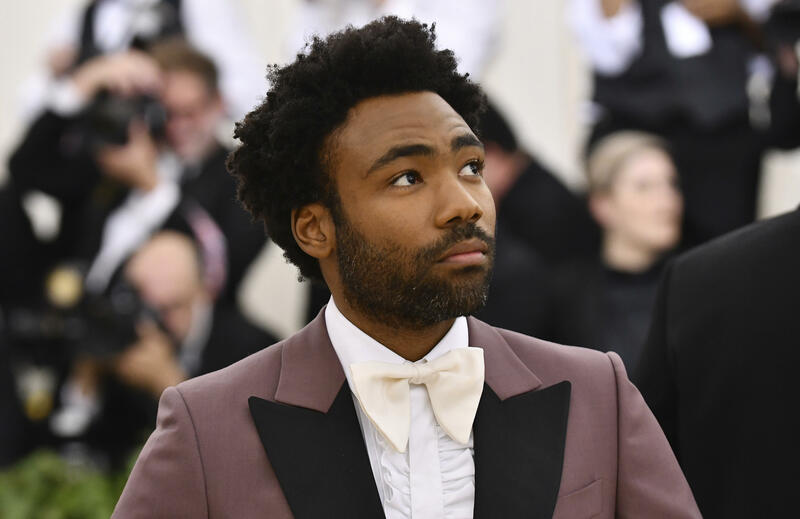 The performance by actor-writer-musician Donald Glover has gotten a lot of attention on social media since its weekend debut. A smiling, shirtless Gambino -- Glover's Grammy-winning alter-ego -- dances throughout most of the video, sometimes with backup dancers dressed in clean-cut school uniforms, but that jaunty image is juxtaposed with shocking scenes of him shooting a hooded black man in the head and gunning down a black choir. He sings: "Yeah, this is America/ Guns in my area/ I got the strap/ I gotta carry 'em," as scenes of chaos and violence unfold in the background amid the flashing lights of a police car. At other points in the song, he addresses a black man's place in the world. At the video's end, he appears to be running for his life, chased by a white mob. The video is directed by Hiro Murai, who also directs Glover's Emmy Award-winning TV series, "Atlanta." Childish Gambino performed the song on Saturday Night Live. CBS San Diego affiliate KFMB highlighted reaction on social media ranging from those calling it brilliant social commentary to others decrying it as anti-gun propaganda. Trent Reznor of Nine Inch Nails wrote on Twitter, "I can't remember the last time I watched a music video all the way to the end, let alone one five times in a row. Incredible work!" "It has so many layers and layers and layers. College courses could be taught on this video," said the writer and activist Shaun King, who also called it "One of the most beautiful, painful, honest pieces of art I've seen in my entire life." But other critics blasted a message they saw as anti-Second Amendment and as fueling rather than confronting the problems of America's cities. "How do we solve problems plaguing the inner cities, like Chicago, when this kind of #ThugLife "art" permeates the culture?" one wrote. Song Title: "This Is America"
Gambino made his Grammy stage debut earlier this year after being nominated for five awards, including album of the year and record of the year. He won a Grammy for best traditional R&B performance this year for his song "Redbone." Glover's Emmy-winning FX show "Atlanta" has its Season 2 finale Thursday. He also plays Lando Calrissian in "Solo: A Star Wars Story," in theaters on May 25.